Fonda España offers some of Barcelona’s most beautiful dining rooms and food directed by star chef Martín Berasategui. Let’s get something clear from the start: I really like Fonda España. I wholeheartedly recommend that you go and eat there. That said, this isn’t going to be an uncritical review. Despite its many strong points, Fonda España also shoots itself in the foot. The wounds aren’t fatal, but they stop it from achieving its potential. First, the good stuff. Fonda España is a jaw-droppingly beautiful place to dine. The Hotel España in which it’s located was opened in 1859. It was then remodelled in the early 20th century by my favourite Catalan Art Nouveau architect Lluis Domènech i Montaner together with some of the greatest artistic talents of that great artistic age. A 2010 restoration cleaned away a century of cigarette smoke and neglect and left the Fonda gleaming. It is utterly gorgeous. The main dining room adjoins the Sirens’ Lounge, with murals painted by Ramón Casas, which is used for large groups (and hotel breakfasts). And in the bar there’s a sculpted fireplace by Eusebi Arnau. It’s all preposterously pretty. To mark the most recent refurbishment, Basque chef Martín Berasategui was handed the culinary reins. He holds three Michelin stars at his Barcelona restaurant Lasarte and five more elsewhere. Fonda España, however, doesn’t do haute cuisine. Instead, it updates classics of the turn-of-the-century Catalan modernisme period that were found through deep research and in turn-of-the-century Fonda menus. Berasategui’s input is advisory; the chef in charge of the kitchen is German Espinosa, whose enthusiasm for the project is effusive. The food’s good, too. The daily lunch menu (€27) is a favourite of some of my friends. There’s an evening variation for €35.50 that’s equally popular. When I visited, happy diners were gleefully tucking into fantastic-smelling dishes like hearty potato trinxat with poached egg and mushrooms, and hake with ganxet beans. But I wasn’t having the evening menu, or eating à la carte. I was having the €75 viaje modernista (Art Nouveau journey) menu, and that’s where the problems started. The first indications were very positive. A huge amount of thought has gone into the menu; there’s even a tablet brought to the table to explain the history of the hotel, the concept and the history that inspired the dishes. Vermouth, citrus and salmon roe. A variation of the Catalan staple pa amb tomaquet (tomato bread) served as an amuse-bouche. Mar i muntanya – a sensational surf-and-turf, crab-and-Iberian-ham sandwich. Oyster, pine nuts and lime cream. ‘The Mermaids’ – a stellar pil pil – is as sensual and seductive as the sirens that inspired it, who themselves make a surprise appearance mid-course. No spoilers. Oyster mushroom and a rich escudella broth with garlic flowers. Cap i pota risotto with apple and eel, to die for. Pig’s trotter with turnips: robust, rich, peppery and moreish. Pigeon with a foie heart, salsify, hazelnuts and capers. Another smash hit of powerful flavours. Asparagus with vanilla, white chocolate, tea and yogurt. There were more dishes. Many more. And here we get to the heart of the problem with this menu: there is an embarrassment of riches – and richness. I’m a good eater; I can really put it away. And I was dining with travel writer Ben Holbrook, a tall young man of no meagre metabolism who can also down even the most daunting tasting menus. But we both only barely managed this. There are far, far too many dishes, and too many of them are non-essential. I know Chef German has reduced the portion sizes but it’s not enough. The same menu, with the same serving sizes, at the same price, but with five or even seven fewer courses would be a triumph. If you follow my advice and go to Fonda España, choose the other set menus or order à la carte. If you really want to try the viaje modernista menu, here’s what to leave (or ask them to omit): the monk’s- cress canneloni; the awful sardine, which looks like a dayglo jelly dish from a child’s party; the gummy bollo (bun) with disappointing botifarra sausage; the delicious but completely out-of-context pork sandwich that should be served in a craft beer bar instead; the unremarkable chicken royale; the gluey white chocolate and asparagus; and the unmemorable meringued milk. You’ll get an unbroken sequence of beautiful, bold, delicious dishes. You’ll leave on a high. And you won’t miss out on a thing. Fonda España does almost everything right. It’s a haven of timeless design, authenticity and excellent cooking just a few steps from the tourist traps of the Ramblas. What it does wrong can be avoided by judicious ordering. Stick to things like the rice, pil-pil or pig’s trotters and you’ll enjoy a first-rate feast in stunning surroundings. Fonda España could also improve its service, which is very friendly but slightly chaotic. The new staff need a little more training and servers should be assigned to tables; it’s disconcerting to have almost every dish delivered to the table by a different person. None of the above will stop me going back. I loved the big flavours of the best dishes; the set menus are relative bargains and the dining room may be the most attractive in Barcelona. Recommended. On the Ramblas or near Liceu Opera House in Barcelona? 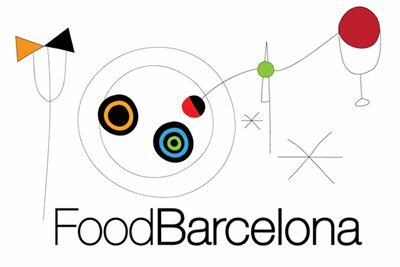 Look for other restaurants in the Raval or Barri Gòtic. Find Fonda España on the FoodBarcelona map. I have had the same menu a few weeks ago and I almost agree on your review, except the fact that you claim there are too many dishes. If you go ABaC, Angle, Manairo, Disfrutar and others of that level, it is frequent to have so many dishes. I haven’t found Fonda Espana that different. I believe that most famous tables in Spain always have many dishes for tasting menus… (Quique Dacosta was around 50…). Definitely one of the most charming place and the price of that menu is a gift! Hi. Thanks for your comment! I’ve eaten the tasting menus in all those places but never felt as full (Disfrutar came close, on my second visit), perhaps because they don’t serve the same kind of food. Fonda España makes slightly heavier dishes than the haute cuisine restaurants you mention. But I wouldn’t want Fonda España to change its style; its interpretations of classic dishes are already lighter than the originals. I think they’re great – there was just too much of a good thing for me and the person I was with. Appetites vary and I’m glad you enjoyed it all! I’ve always loved the hotel, even before it was cleaned up, so I will definitely go and have the lunch menu. I hope you can access it – I haven’t seen it yet, but hope it will contain something on Montaner. As much as I like Gaudi, he gets enough attention already! I hadn’t seen that but I’ll certainly watch it. Thanks! The hotel is stunning and the lunch menu well worth trying. Agree regarding Gaudí, too; D i M doesn’t get the attention he deserves.